Some people might get nervous when they hear that they’ll need a root canal to treat a diseased tooth. While the words “root canal” can inspire fear, it’s a routine procedure with few risks. 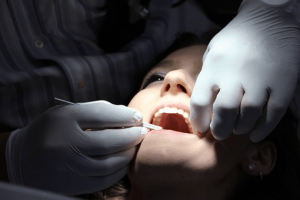 If you or someone you know is about to go in for their first root canal, here are some tips to follow to ensure that the procedure goes as smoothly as possible. You’ll need your energy during the procedure, so it’s important to eat a balanced, mild breakfast. After the procedure, your mouth will likely be sore, tender, or numb and you might not be able to eat for another several hours so it’s important to make sure you have the fuel you need. Your dentist will recommend not consuming alcohol or smoking cigarettes at least 24 hours before the procedure, as these substances can lead to complications. Afterward, you should also hold off on consuming alcoholic beverages or smoking, as this will make it more difficult for your mouth to heal properly. If you struggle to deal with pain, taking some Tylenol or another mild pain reliever before the operation may help you relax and deal with any discomfort as the procedure gets underway. It’s also important to talk to your dentist before the procedure. Feel free to ask them any questions about what’s involved and what you should expect before, during, and after the root canal. They will give some helpful advice and ease any concerns you might have about the procedure. 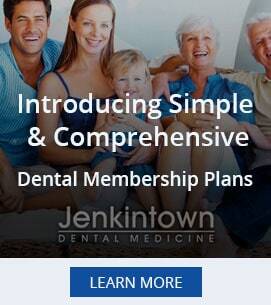 If you suspect that you might need a root canal or are struggling to cope with a diseased tooth, contact the professionals at Jenkintown Dental Medicine for quality dental services in Jenkintown.